This guide offer some help to those who's totally new to this game. 2. In Game Lv quest guide,Press H key to open this window. Hereby there is few thing I like to highlight. a. At lv 25 take the 'Ruby Shard Gear' which introduce you to the free gear NPC in game. b. 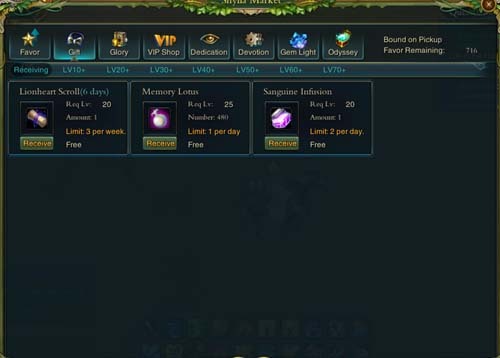 Check for quest that reward Soul Leaf (not all quest will only some of those).Soul Leaf allow you to purchase some selected item in Cash Shop such as Fashion or Race Mount. c. Not all quest show according your Lv mean you able to do, some may need wait till you are much higher Lv or get help from higher Lv player to assist. 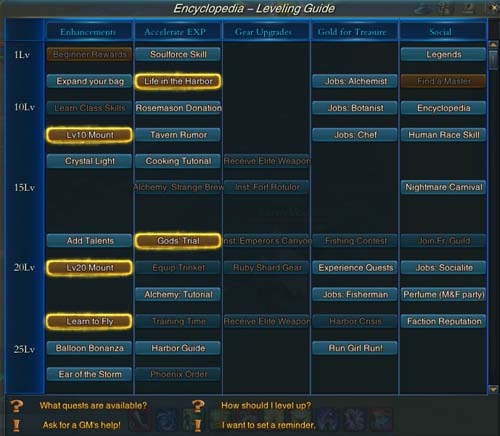 Furthermore there is another in-game guide show all other quest available for your Lv by press U key to open the window then go to the 'Available' page. 3. 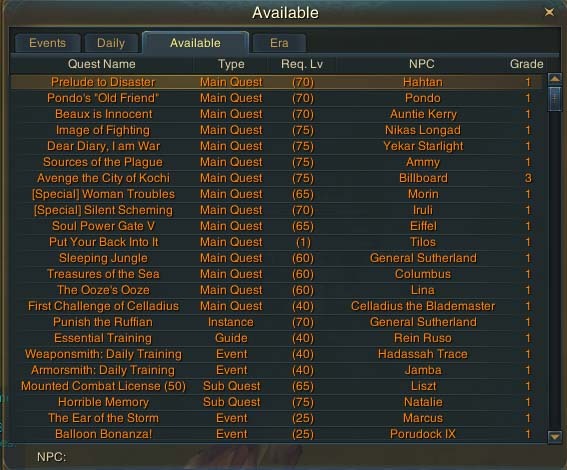 Guild quest, there is 2 type of guild quest is available to you. a. 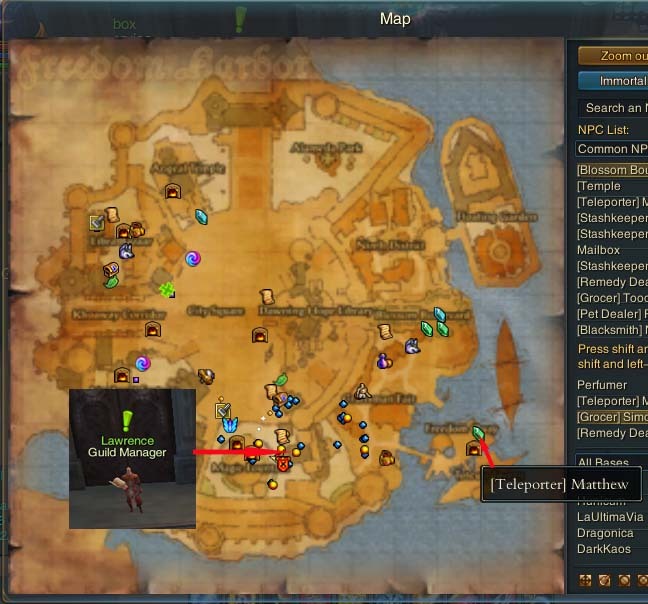 1st is the normal Guild Quest you can have according to you Lv press G to open the Guild Info window. 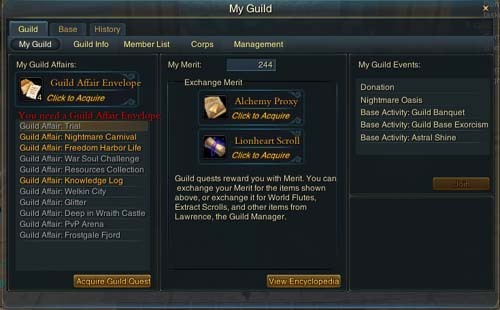 Obtain the 'Guild Affair Envelop' before you able to take the quest show below. b. 2nd Guild Base Quest, you must enter our Guild Base inorder to take quest from the NPC Guild Base Manager.there is 2 way to enter our guild base by any Teleporter NPC or the Guild Manager NPC at Magic Fountain. Hope this help for further assistance check with our senior member.